WATCH: Kingsglaive: Final Fantasy XV E3 Trailer | Nerd Much? In the midst of all the E3 excitement, Square Enix quietly released a new trailer for their upcoming movie Kingsglaive, which is set to premiere on Blu-Ray and digital with the game this fall. However, that’s not all; they also announced that it will be released in select theaters nationwide on August 19th. The CGI film is set in the world of Final Fantasy XV, and is meant to run parallel to the game’s story for added depth; it tells the story of King Regis of Lucis (Sean Bean), Nyx Ulric (Aaron Paul), and Lady Lunafreya (Lena Headey) after Noctis – the king’s son and the game’s main protagonist – sets off on a road trip with his friends. They possess a sacred Crystal, which is sought after by the empire of Niflheim. 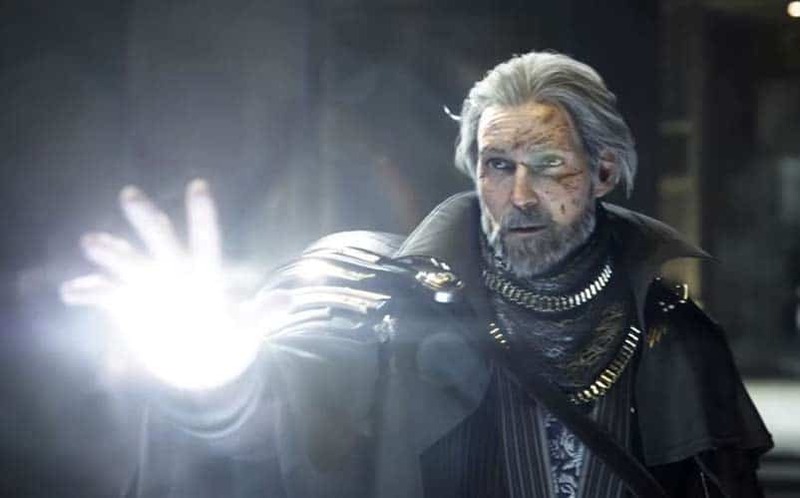 Faced with their military might, King Regis accepts an ultimatum to marry Noctis to Princess Lunafreya of Tenebrae (now under the empire’s control), and surrender his lands. Niflheim will not abandon their goal, however; as the kingdom is pulled into all-out war, Nyx and the rest of the Kingsglaive (the king’s elite fighting force) is all that stands in the empire’s way. We hardly need to tell you how incredible the trailer looks; so incredible, in fact, that you could almost forget that it’s CG. With the all-star voice acting, unbelievably photorealistic action, and awe-inspiring soundtrack, we predict that this movie will blow all other video game movies out of the water. The Kingsglaive Blu-ray is included with the Deluxe Edition of FFXV, which can be preordered here and is scheduled for release on September 30th, 2016. You can set an alert via Fandango to be alerted when tickets become available in your area.